MSK Westchester offers residents of New York’s Hudson Valley and Connecticut the same expert cancer care they expect from MSK, just closer to home. 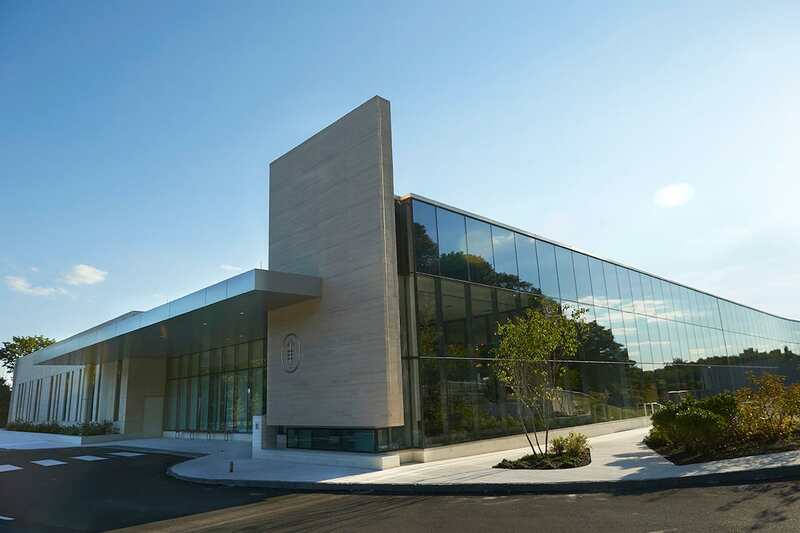 Patients can receive much of their treatment — including chemotherapy, immunotherapy, and radiation — at our West Harrison, New York, location. Medical oncologist Daniel McFarland examines a patient. Our radiation oncologists, including Melissa Zinovoy (right), make your comfort and safety their top priority. Some of our services are available on Saturdays. Please ask your provider for more information. At MSK Westchester, doctors, nurses, and other experts work together on treatment teams that specialize in treating one type of cancer. This means that they are highly experienced in caring for people with the type of cancer you have. Working together, your team will develop a treatment plan that will lead to the best possible outcome for you. For most cancers, your treatment will be led by one or more primary doctors. These could include a medical oncologist, a surgical oncologist, a radiation oncologist, and, for some cancers, an interventional radiologist. Each of these doctors brings a defined set of expertise and techniques for treating cancer. Chau Dang (left), Chief of MSK Westchester’s Medical Oncology Service, cares for women with breast cancer. Head and neck surgeon Ian Ganly is an expert in minimally invasive surgery. A glass staircase leads from the lobby to the lower concourse below, where interventional radiology procedures are performed and patients receive radiation therapy and have imaging studies done such as CT, PET, and MRI. Dermatology services are also provided on the lower concourse. 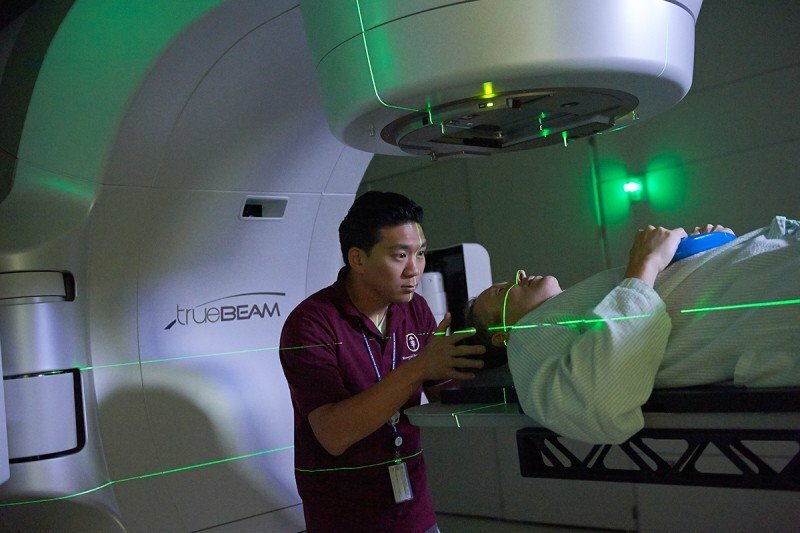 A state-of-the-art radiation planning and delivery system includes four linear accelerators. 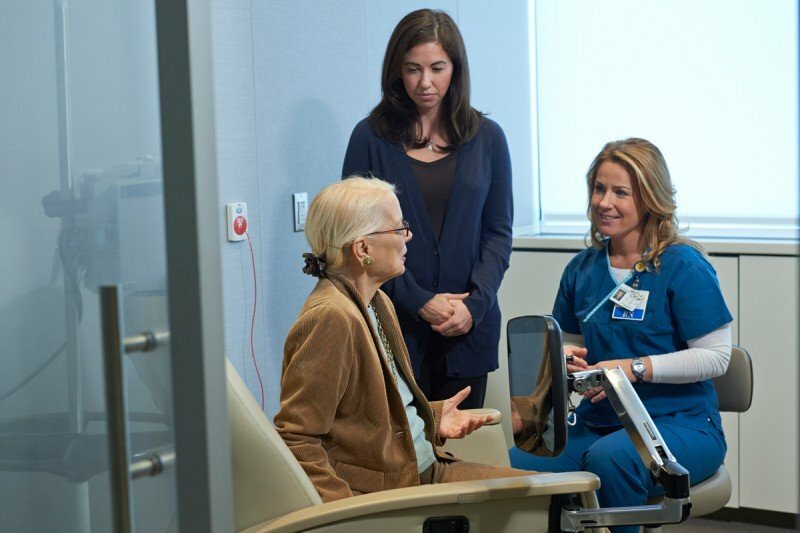 Twenty-eight private chemotherapy suites on the concourse level of MSK Westchester offer serene views ample space for caregivers accompanying patients, television, and the ability for each patient to control the lighting and temperature in his or her own suite. Valet parking is available for all patients at MSK Westchester. The MSK Compass app provides step by step directions from your car to your appointment at MSK Westchester.